Union alleges NZ Post ‘secretly eavesdropping’ on private conversations. 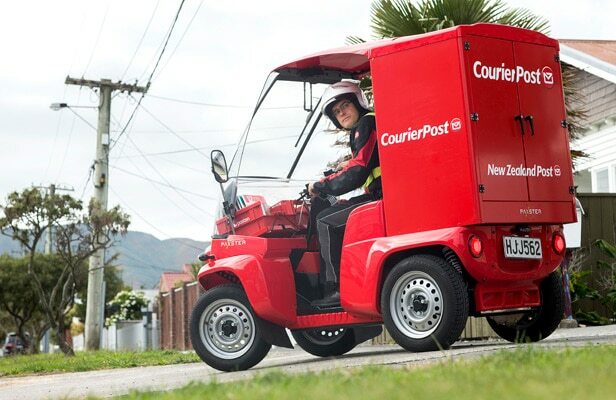 New Zealand post is accused of “secretly eavesdropping” on private conversations recorded between posties and homeowners, the Postal Workers Union claims. The audio recordings are alleged to have been made from devices on the state-owned enterprise’s new four-wheel-drive Paxster postal delivery vehicles, which are currently being rolled out throughout the country. The company says it is taking the issue seriously and is now in discussions with the Privacy Commissioner following a complaint. In a press release issued this afternoon, Postal Workers Union spokesman John Maynard said many employees were oblivious that their employer had been making “continuous audio recordings while they are out driving”. The recordings are alleged to have captured conversations on public roads and footpaths, but also at letterboxes, in private driveways and on private property where the Paxsters had travelled while delivering parcels and tracked and registered items. “Householders standing on their own doorsteps may also have their conversations with their posties being recorded without their knowledge,” Maynard alleged. “NZ Post had told the Postal Workers Union that the camera would be used to record visual images for use in investigating accidents and incidents threatening the security of its employees. Maynard said NZ Post had refused the union’s written request asking the company to stop all audio recordings until the privacy issues could be resolved with the guidance of the Privacy Commission. NZ Post fitted its Paxsters with forward-facing high-resolution dashboard type cameras which had a GPS function allowing the company to pinpoint the exact location and addresses of all images and conversations they recorded, Maynard said. The cameras and audio automatically recorded at all times the Paxster vehicles had their ignition switched on, he alleged. “NZ Post had demonstrated to the Union the forward-facing type camera mounted in each Paxster to record incidents or accidents. However the company made no mention of audio recordings. Despite the Union now making strong objections to NZ Post, the company insists on continuing to make audio recordings of both its employees and members of the public. Maynard said the union found out about the recordings last week from a postie, who “became aware a number of her conversations had been recorded and then listened to”. He had been in conversation with the Privacy Commissioner, who said it could deal with the individual complaint of the postie. Maynard said NZ Post had made no effort to make it clear to all posties their cameras also recorded audio. He said he’d been in discussions with NZ Post’s general manager, Matthew Riordan. A New Zealand Post spokeswoman said the company took the “safety and privacy of our staff and members of the public very seriously”. The Paxster recording devices are there for health and safety reasons, she said, to help the company understand what has happened in the case of an incident. The recordings were wiped from the Paxsters after 1-2 days, and copies are not kept, she said. The case follows that of National MP Todd Barclay, who announced last month he was stepping down as an MP following a political scandal involving allegations he had secretly recorded an electorate office staff member. Police have reopened an investigation into Barclay following claims that he left a dictaphone running in his Clutha Southland office during an employment dispute. It is illegal to intentionally intercept by means of an interception device private communications you are not party to.